WEDNESDAY, Jan. 13, 2016 (HealthDay News) -- Infants are just as susceptible to accidental poisonings as older children are, especially when it comes to medication errors, new research reports. 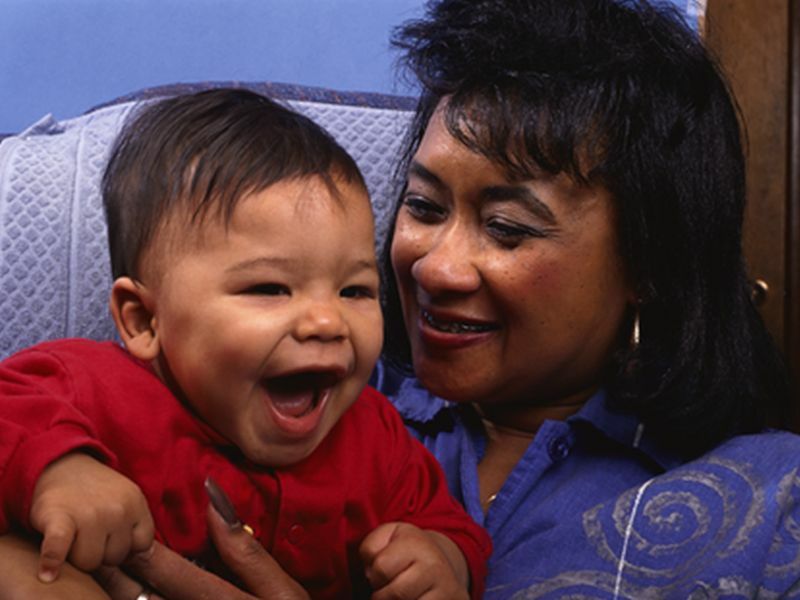 A decade of poison control center calls in the United States showed that acetaminophen (such as Tylenol) was the most common medication mistake for infants. This was followed by H2-blockers (for acid reflux), gastrointestinal medications, combination cough/cold products, antibiotics and ibuprofen (such as Motrin or Advil). The most common non-medication exposures were diaper care and rash products, plants and creams, lotions and make-up, the investigators found. "I was surprised with the large number of exposures even in this young age group," said lead author Dr. A. Min Kang, a medical toxicology fellow at Banner-University Medical Center Phoenix in Arizona. "Pediatricians typically do not begin poison prevention education until about 6 months of age, since the traditional hazard we think about is the exploratory ingestion -- that is when kids begin to explore their environment and get into things they are not supposed to," Kang added. The findings were published online Jan. 13 and in the February print issue of the journal Pediatrics. Kang and colleague Dr. Daniel Brooks reviewed all poison control center calls in a national database from 2004 to 2013 that related to babies younger than 6 months old. There were more than 270,000 exposures reported during that time, 97 percent of which were unintentional. About half the calls were general unintentional ingestions, which includes children exploring their environment. Over one-third (37 percent), however, were related to medication mistakes, the study found. With medication exposures, 47 percent involved dosage mistakes, and 43 percent involved giving a medication twice or too soon, giving a child the wrong medication or similar errors, the authors explained. Acetaminophen was involved in more than 22,000 medication exposures and nearly 5,000 general exposures. This high rate reflects its frequent use because it's recommended instead of ibuprofen for infants, Kang pointed out. "The concern with too much acetaminophen is liver failure although, luckily, young children are considered to be somewhat less likely to experience this than an adult because the metabolism is a little different," Kang said. One expert noted that this study covers a decade, and acetaminophen mistakes may have dropped in recent years. That's because acetaminophen infant drops are now standardized across manufacturers, said Dr. Michael Cater, a pediatrician with St. Joseph Hospital in Orange, Calif. A U.S. government study last fall found that children's ER visits for medicine overdoses have been declining. The number of ibuprofen exposures, however, surprised Cater since ibuprofen isn't recommended for those under 6 months old. "Also surprising was the number of ethanol poisonings," likely from parents leaving empty glasses or bottles of alcohol around, he said. "Low-lying plants, some of which are toxic, are a source of concern, and this was a bit of a surprise to me." Diaper creams and lotions likely top the list because they're easily reachable by infants when left on the diaper-changing areas, Cater added. The frequency of calls for cough/cold medications caught the attention of Dr. Emily Borman-Shoap, pediatric residency program director at the University of Minnesota. "The American Academy of Pediatrics [AAP] does not recommend cough and cold medications for children under age 6, and the U.S. Food and Drug Administration has given a warning about the use of cough and cold medication for children under age 2," Borman-Shoap said. "This suggests that there is room for ongoing education for parents about safe treatments for cough and cold symptoms in children." The AAP has a policy statement recommending that all liquid medications use metric units for dosing and that they include administration devices, such as syringes, to reduce the chance of an overdose. Perhaps doctors should offer poison prevention education to caregivers earlier, even starting when a baby leaves the hospital, Kang suggested. In addition, Kang said, parents should have the poison control phone number -- 1-800-222-1222 -- posted in their home and programmed into their cellphones, and should call for advice on any type of exposure.